Interacting with someone who is living with dementia can be frustrating; resulting in distress for your loved one and feelings of failure for you. But you can adapt to situations to create positive interactions. There can be so many questions when acting as a caregiver. 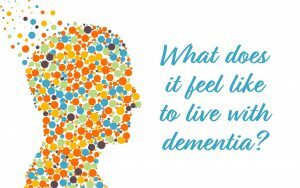 What does it feel like to live with dementia? Is it time to seek a supportive living environment? How do you know when it’s time for Assisted Living or Memory Care? You can click here to RSVP or call 410-918-0400.